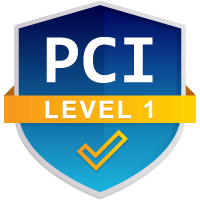 One of the most widely used fraud prevention tools in the U.S., Address Verification Service is an automated program that compares the billing address used in a credit card transaction against the information the bank has on file. AVS can help reduce the risk of fraud and chargebacks, but it’s not a comprehensive solution. One of the challenges merchants encounter with phone and web transactions is confirming that the person making the purchase is the actual card holder (or an authorized user). The Address Verification Service was created to help solve this problem. As part of a card-not-present transaction, a request for user verification is automatically sent from the merchant. On the credit card processor’s end, the billing address given by the user is compared against the billing address on record with the issuing bank. If the addresses don’t sync at all, the transaction is denied; more often than not, the bank will approve the transaction and return a response code indicating how closely the addresses match. If the bank approves the sale, the merchant then decides to complete or decline the card based on the response code and the merchant’s own best practices. Merchants have the ability to set their own rejection settings, automatically triggering a decline if certain codes are returned. This practice is not without its risks, however, since relying on AVS codes will most likely result in a significant number of false positives. AVS codes are designed to help the merchant decide how to proceed with a given transaction. The address information provided during the checkout process will match what is on file with the bank exactly, partially, or not at all. It might seem like the decision should be black or white (if the addresses match, approve; if not, decline) but in truth, there are multiple options in between—a dozen or more, in some instances. These “shades of gray” highlight one of the main limitations of the Address Verification Service: AVS only analyzes numerals. It looks at the building number of the street address and the zip code, but that’s all it’s designed to do. That leaves a lot of room for interpretation; when users provide a billing address at check-out, it’s most likely coming off the top of their heads. No one is stopping to look up the exact address they gave the bank when applying for the card. Maybe they put down their apartment number, maybe not. Maybe they used a 5-digit ZIP code, or maybe they went for all 10 numbers. There are several small variables that wouldn’t actually change the billing address but might keep it from being an exact match. The Address Verification Service comes from MasterCard. While it’s widely supported by major card schemes in the U.S. and U.K., usage details can vary, particularly in how the codes are interpreted. A merchant’s processor and payment gateway work in conjunction to administer Address Verification Service comparisons on the merchant’s behalf. Either entity should be able help determine how the different card schemes use the codes. How Much Weight Should Be Attached to AVS Codes? AVS can be very helpful security feature. By rejecting potentially fraudulent transactions, merchants can reduce the risk of both fraud and chargebacks. But the system is not fail-safe. If a customer’s credit card information has been reported stolen, for example, AVS can automatically verify that a transaction on that card is fraudulent. But if a fraudster has access to stolen information, that’s likely to include the customer’s name and address well. Essentially, that scenario renders the system useless: AVS can verify that the person making the purchase knows the billing address for the card, but it can’t guarantee that the person using the card is the actual cardholder. Even if we acknowledge that AVS is primarily designed to deter (as opposed to prevent) fraud, the merchant is still stuck trying to identify the point of diminishing returns. Taking an aggressive stance against “risky” transactions is bound to yield an increased number of false positives, costing the merchant potential revenue. At the same time, being too lax in reviewing questionable transactions leaves the merchant vulnerable to fraud. A better approach with AVS? Want to learn how to implement a customized chargeback strategy with AVS Data? Click below to learn more. AVS is offered at no charge, but it is not currently available to all credit and debit cards, and only in a few markets outside the U.S. The risk of fraud goes up without an AVS match—and typically, so does the card’s processing cost, due to a surcharge or higher interchange rate. To do business globally, merchants will need to use international AVS capabilities. This can increase earning potential, obviously, but it also opens the door to increased fraud, much of which originates in areas outside the U.S. Pre-paid cards rarely have corresponding address information, which negates AVS. It’s entirely possible for the transaction to be authorized with the issuer but declined because of your personal AVS preferences. Accepting failed AVS transactions could cost more in processing fees and could affect the discount rate. An AVS mismatch raises the risk of fraud, which means it also raises the risk of a client filing (and winning) a chargeback. If a chargeback is filed, showing a positive address match (and shipment to the address on file with the cardholder’s bank) gives the merchant a much stronger defense in a fraud-related chargeback dispute. Any fees or penalties associated with the chargeback, however, will still apply. Winning a chargeback dispute is good; not having the chargeback filed in the first place is better. Address Verification Service can help in both of these areas. However, merchants shouldn’t put too much faith in this particular tool. The Address Verification Service is great as an extra protection layer to help reduce fraudulent transaction, but’s only one small part of a comprehensive chargeback management system. Fraud and chargeback prevention needs to have a multi-tiered approach tailored to each particular merchant. 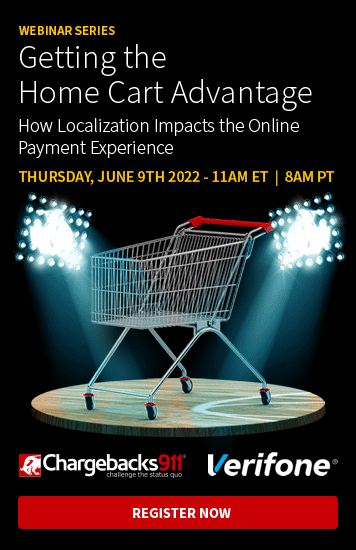 Providing this sort of personalized attention, however, can eat up a lot of valuable resources … which is why merchants are often tempted to rely heavily on automated processes like AVS. A better approach is to implement a customized chargeback prevention strategy that uses AVS data in conjunction with other methodologies. Chargebacks911® offers services that provide the specialized approach merchants need without draining in-house resources. Contact us today if you like us to take a no-risk, no-obligation look at your current chargeback prevention efforts. We’ll let you know how much you could save by enhancing your prevention… and how much revenue you could recapture with enhanced representment efforts.